One of the big problems with humans is that we rarely solve the right problems. It's always the short-sighted "let's do something now" approach. It happens everywhere, from companies thinking that their lack of sales is simply caused by too little TV advertising, to politicians thinking that raising or lowering interest rates can save the economy (apparently both ways works if you are a politician). One hot topic is trying to fix the sound of the new generation electric cars. People, and especially politicians, think it is a problem that electric cars are virtually silent up to speeds of 16 MPH (25 KM/H). Worried parents claim it is causing risk to people, especially children. And organizations for the blind, advocate that electric cars should emit artificial sounds. That's two very powerful interest groups, children and the blind. The politicians want to look decisive, so everyone is currently focused on solving the wrong problem. Audi is one of the many companies who are experimenting with sound design for their e-tron, and they are having a lot of fun doing it. "The obvious approach would be to work on the basis of the familiar sound of a combustion engine, On the other hand, we want to underscore that an electric or hybrid Audi is an innovative product." "The rustling of leaves, the twittering of birds or shrill tones such as those used on snow cats are therefore not viable options. However, the sounds used for space ships in films are reminiscent of car sounds, yet are also very different, making this a rather interesting approach. An Audi will not sound like an airplane with jet engines or a space ship from a science fiction film any time soon, though. But the sound will be new and unusual. 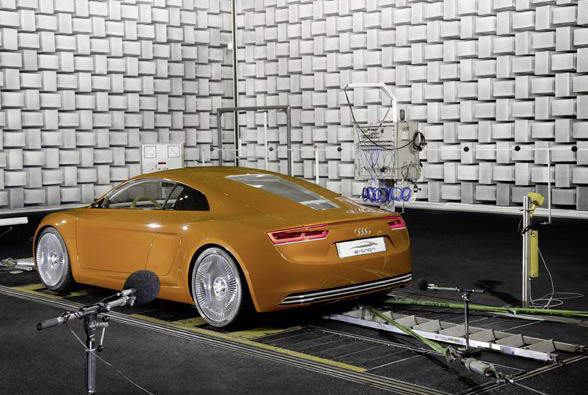 The Audi RSQ from the Hollywood film I, Robot gives an indication of how an Audi might sound in the future." But, the problem is not that electric cars lacks noise, the problem is that everything else is making too much noise. Instead of creating laws requiring car makers to "invent noise" create laws that reduce it. The right solution is to say "Cars are not allowed to make noise above 40dB when driving below 15 MPH (city noise levels are currently around 80-85dB)." Let's reduce the overall noise levels instead of artificially polluting our world. If all cars where silent, people would pay more attention. What about the blind people? You don't create a bad situation for the majority, just to keep 0.3% safe. That's the wrong solution. 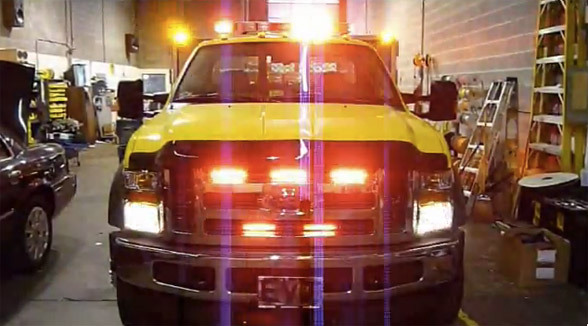 I mean, we don't go out and require cars to have flashing light bars, so that the deaf can see them more clearly. The right solution is to come up with something that will protect the blind, but not interfere with people who are not. Create a device that sends out a signal that people cannot hear, but can be picked up by an ultra portable device for the blind. Not only would that better protect the blind, but it would also open up a lot of potential for automatic driving. If blind people know where a car is, so would every other car. We turn a bad solution, into a win-win opportunity. Would that work? Absolutely! But it is never going to happen. Interest groups and politicians are too focused on solving the wrong problem. It is only a matter of time before legislation is in place requiring all cars to make huge amounts of noise. Solve the right problem ...or buy earplugs.